Those who are serious about bowling know just how important a clean bowling ball can be. 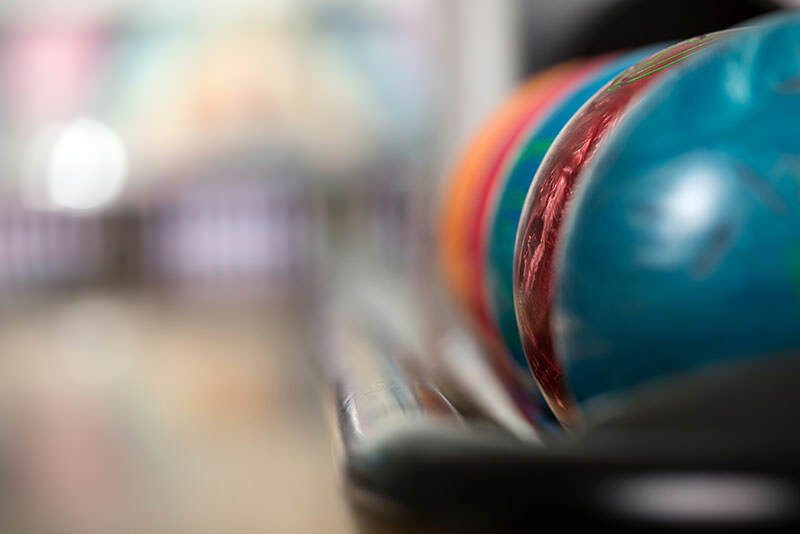 Not only does a bowling ball cleaner help rid the ball of grease, grime, oils, dirt, belt marks and more, a good bowling ball cleaner also adds some tack to the ball—tack that is crucial to ball control. To help you find the perfect bowling ball cleaner solution for your needs, below we have reviewed several of the hottest selling and most popular bowling ball cleaners on the market today, and highlighted the advantages and disadvantages associated with each product. We have also compiled a Bowling Ball Cleaner Buying Guide, in which we will go over some of the factors you should definitely consider when shopping for one of these cleaning solutions. The Neo-Tac Hook It Bowling Ball Cleaner, packed in a unique container that looks more like a condiment bottle than one that holds a powerful cleaning solution, is one of the best products on the market for keeping your bowling ball in tip-top shape. As the name suggests, this product is designed to add the tack back to reactive balls after several games played, a process that will improve your hook and the overall action of the ball on the lane. USBC approved, the Neo-Tac solution will never alter the surface of your bowling ball, even with regular use. Best of all, its bottle design, with a handy spray function, makes it super easy to apply for a hands-free cleaning. The Neo-Tac Hook It Bowling Ball Cleaner is the perfect solution for removing heavy grime, scuff and belt marks from your ball—marks made by the ball return mechanism. The solution comes in a 6-ounce bottle and is priced with the budget-conscious bowler in mind. The product is potent enough to remove all dirt and track strings, yet gentle enough to preserve the luster of your ball. 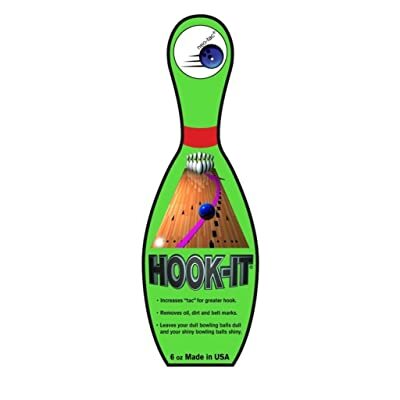 Also known as the “Hook It” cleaner for the traction it gives the ball on the lane, this is a must-have cleaner for anyone serious about bowling ball maintenance. USBC Approved. The Neo-Tac Hook It Bowling Ball Cleaner is approved by the USBC, which means it is legal to apply before tournament play. Easy spray function. Not only is this product super easy to grip and carry, its easy spray function can dramatically shorten the cleaning time. Adds great traction. The Neo-Tac Hook It Bowling Ball Cleaner is known for the traction it can add to the ball, thus producing amazing hooks. May be harmful to the touch. Due to the strength of this bowling ball cleaner it is recommended that users wear glove during its application. May dull the ball. According to some reviewers, the Neo-Tac Hook It Bowling Ball Cleaner can make the ball look dull after a couple days. 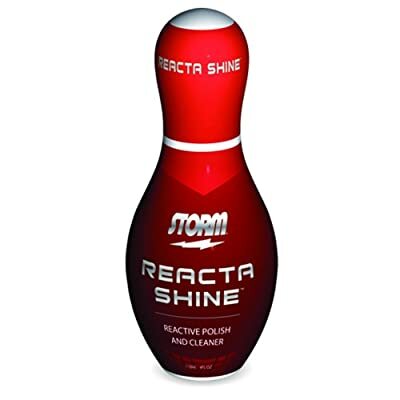 A cleaner that can be used on all types of bowling balls, the Storm Reacta Shine Reactive Polish and Cleaner is one of the most versatile cleaners on our list of products. Not only does this product remove dirt, grime, scuff marks, belt lines, etc. from the ball, it also leaves a very shiny effect that will have your precious bowling ball glowing. This polishing effect is especially important for bowling balls with a smooth finish; and the cleaning properties of the ball are guaranteed to remove months of deep and hardened stains that are common on heavily used balls. 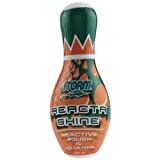 The Storm Reacta Shine Reactive Polish and Cleaner is a one-step cleaner and polish, packed in an appealing bowling pin-shaped bottle. Its creamy formula means you only need a little bit of the cleaner to complete the job, making it a very economical product as well. The cleaner comes in a 4-ounce bottle which is small and portable—easy to carry right in your bowling bag. 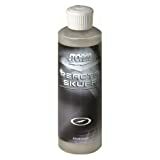 It cleans balls to a superb 1500 grit and restores the tackiness to the ball that is needed for traction and ball action. It is recommended users employ gloves when cleaning with this solution, as it may stain the hands if too much of the solution is applied. One-step process. The Storm Reacta Shine Reactive Polish and Cleaner can clean and polish in a single step. Restores luster. For bowling balls that have become dull and dingy, this cleaner will restore the original luster and bring out the shine. Only a dab needed. Just a dab of the Storm Reacta Shine Reactive Polish and Cleaner is needed to clean your whole ball, making it very economical. Can stain hands. Gloves should be worn, and directions need to be followed, to avoid the product staining your hands. Very sticky. The Storm Reacta Shine Reactive Polish and Cleaner can be hard to work with because it tends to be very sticky and gooey. Warning label. There is a warning label on the bottle of the Storm Reacta Shine Reactive Polish and Cleaner that says the product may cause cancer. 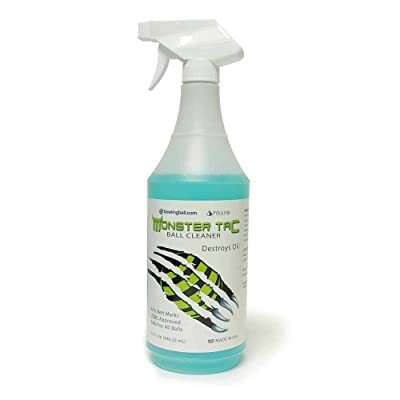 One of the most highly rated products of its kind on the marketplace, the Monster Tac Remove All Bowling Ball Cleaner is a universal cleaner that is compatible with most bowling ball surfaces. Packaged in a lightweight, easy-carry spray bottle, the product is extremely easy to use: just spray on a small dab of the solution and rub the entire ball down with a microfiber towel or cloth. It really is that easy. Once applied, Monster Tac will keep your ball looking clean, polished and shiny for many weeks to come. The product is available in two convenient sizes, a portable 4-ounce spray bottle and a refillable 32-ounce formula. Popular among professional and amateur bowlers alike, the Monster Tac Remove All Bowling Ball Cleaner will not only restore the shine and luster to the ball, it will add the much needed tackiness for the ultimate in ball control. Excellent at removing all the typical stains a bowling ball acquires over time, Monster Tac is the product you should always turn to for dirt, grease and grime; scuff and belts marks; and more. Approved by the USBC, the solution is safe and legal to use in between matches, and safe to use on all types of coverstocks. Very effective. The Monster Tac Remove All Bowling Ball Cleaner is effective against all types of stains, grease and grime, even those embedded into the pores. Different sizes available. This awesome bowling ball cleaner is available in two sizes: a 4-ounce spray and 32-ounce formula. Approved. Because the Monster Tac Remove All Bowling Ball Cleaner is approved by the USBC it can be used before and after tournament and league play. Premium priced. 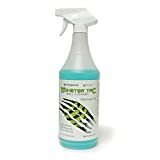 Although the Monster Tac Remove All Bowling Ball Cleaner is clearly one of the most effective bowling cleaners on the market, it is also one of the most premium-priced. Spray nozzle can get stuck. According to some users of this product, the spray nozzle can occasionally become stuck in the down position. Strong smell. It is recommended to use the Monster Tac Remove All Bowling Ball Cleaner in an open area due to its strong alcohol-like odor. Bowling is a fun and exciting game for the whole family. It can also be a very competitive sport, which is why many of the most serious bowlers choose to purchase their own ball. And to keep that ball in tip-top shape, owners will need an effective bowling ball cleaner. To assist you in finding the most ideal cleaner for your situation, below we have listed just a few factors you might want to consider when shopping for one of these cleaning products. How often do you engage in the sport of bowling? If you are a somewhat serious bowler, you might play once or twice a week in league action, and perhaps even practice your game on another day. This type of bowling frequency can quickly mar your ball with dirt, grease and grime. Over time, this dirt and grease tends to seep into the pores of your ball, and may even hinder the manner in which the ball rolls. For this reason and more, regular bowlers should really invest in a universal bowling ball cleaner. Try to look for a cleaner that can be used on all types of coverstocks. You may have to test out several until you find the right one, but this should be a task that is given the utmost priority. While some bowling ball cleaners are designed to clean your ball only, others combine to both clean and polish your ball. Solutions that merely clean your ball can leave it looking dull and drab after a few days. On the other hand, cleaner/polisher combinations not only remove all the dirt, grime, belt marks, etc, they also restore the natural luster and shine to the ball. Bowling ball cleaners come in a variety of sizes, from portable 4-ounce and 6-ounce bottles, to big 32-ounce spray bottles. When shopping for one of these products, keep these sizes in mind in relation to the price of the product. Sometimes a larger 32-ounce bottle may be more economical in the long run—especially when you consider you would have to purchase eight 4-ounce bottles to equal one 32-ounce bottle. Not all bowling ball cleaners are approved by the USBC. Therefore, if you intend to play in league or tournament play, make sure you look for one that is approved by this universal bowling association. Some bowling ball cleaners do much more than simply clean and polish your bowling ball. They also add a degree of tackiness to the ball’s surface. This tack is absolutely crucial for ball control, helping it to bite on the lane when needed for amazing hook shots. Finally, most bowling ball cleaners will have safety warnings and explicit instructions on how to use the product. Like any cleaner, when used incorrectly a bowling ball cleaner can expose you to harmful chemicals. It’s imperative that you keep these cleaners out of the reach of small children and pets. Some of these bottles may look very enticing to small children, but can cause a lot of harm if touch or ingested.